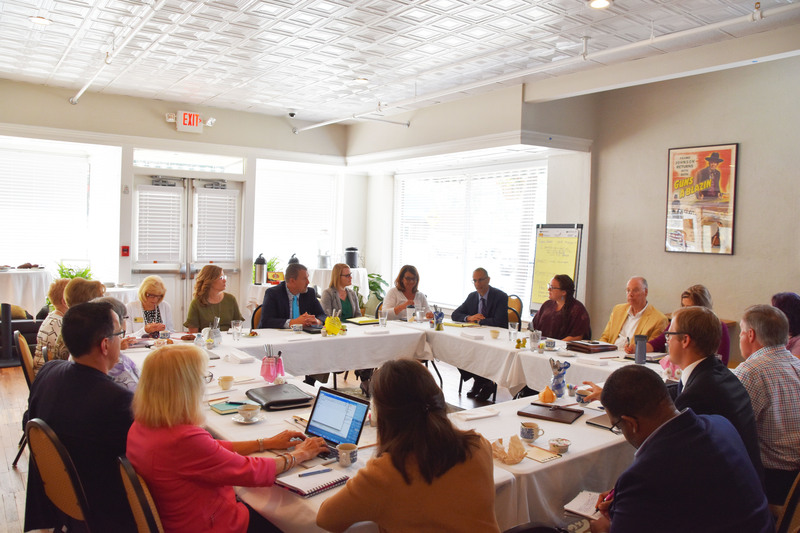 Two weeks ago the Vibrant Virginia team in conjunction with the Office of Economic Development held their first Quarterly Engagement meeting. This meeting brought together Virginia Tech faculty and staff with external partners from throughout the regional community to learn more about engagement projects faculty and staff are working on. Participants learned about past and current efforts Vibrant Virginia is participating in across the state including community conversations in different regions and granting their first round of seed funding to projects focused on engagement activities in Southwest Virginia. Grant recipients gave brief overviews of their projects to allow faculty, staff, and external partners to engage at a deeper level of what their projects entailed. External partners gave brief descriptions of areas of interests before adjourning to allow conversations and connections to be made. For more information about Vibrant Virginia or to be a part of the next conversation please visit https://econdev.vt.edu/vibrantvirginia.html.